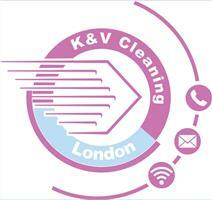 K & V Cleaning London Ltd - Cleaning Services, Garden Services based in London, Greater London. We’ve been working with companies and private property since 2005, and we’re here twenty-four hours a day, seven days a week to meet your needs. Our team is fully insured. We’re here to ensure your property gets the professional-level clean they need. In line with our mission, our company handpicks only the best and most qualified domestic cleaning experts in London. We take great care to ensure that all of our cleaners are fully insured, vetted and trained in accordance with the highest standards of office and domestic cleaning.